The modest little fountain at the bottom of this monumental wall has a man's face in the center with two fish on either side of him, with everyone spilling water into a large travertine tub. On either side of the tub are marble Corinthian columns which support an architrave and tympan (triangle). 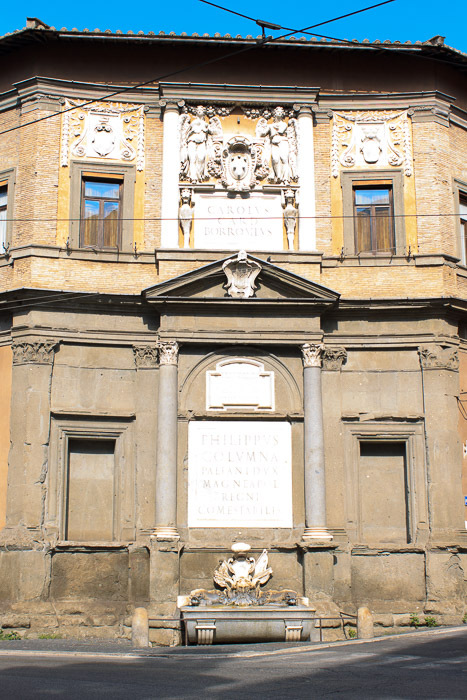 Above the triangle are two columns of Ionic order on either side of the Medici coat of arms and two statues of the winged goddess Fame. 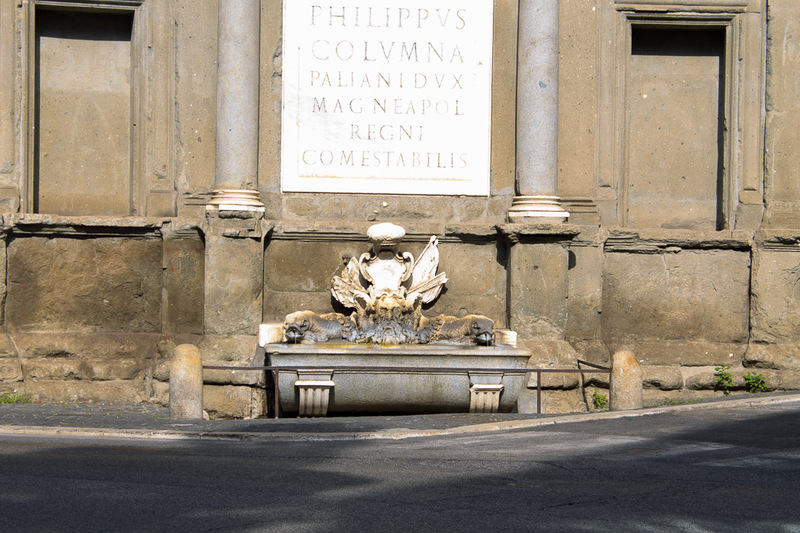 The fountain was built between 1552 and 1554 by Bortolomeo Ammannati for Pope Julius III. See all Fountain of Pope Julius III photos.